So, is Apple Cider Vinegar good for my health? Have you tried this old fashioned remedy? Apple cider vinegar is claimed to help a wide range of health issues, anything from arthritis to gout to infection. For thousands of years apple cider vinegar has been used as a health remedy and in cooking, to fight infection, for indigestion and stomach pain. In this blog post we discuss some of the science behind apple cider vinegar, alleged health benefits and the reason I drink this health tonic every day. Apple cider vinegar is made from crushed and fermented apples. Crushed apples are exposed to yeast which ferments sugar and produces alcohol. The alcohol is introduced to bacteria which produces acid, specifically acetic acid. Now, as with most foods, the less processed the better for you. That's why you should try organic, unfiltered apple cider vinegar which contains something know as 'the mother': beneficial strands of protein and bacteria that give organic, unfiltered apple cider vinegar a cloudy appearance. Did you know? The use of vinegar to fight infections and other acute conditions actually dates back to the ancient Greek and Hippocrates (the father of modern medicine) in 460-377 BC. Hippocrates recommended a vinegar preparation for treating sores and cleaning ulcerations (1). What does science tell us about apple cider vinegar? There is evidence for some of the claims made about apple cider vinegar and its health benefits. I'm interested to hear what you think as well - please feel free to leave a comment at the end of this article. Recent research (2) coming out of Arizona State University shows us apple cider vinegar may have an anti-glycemic effect on blood sugar. 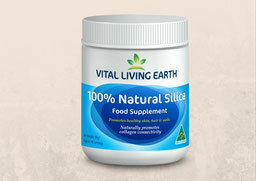 Specifically, the vinegar blocks digestion of some of the starch we digest, preventing it from being hydrolyzed into sugar thereby helping to control blood sugar levels. Note: this does not represent a diabetes treatment. Drink the cloudy version of apple cider vinegar containing ‘the mother’: unfiltered and with beneficial bacteria and probiotics. 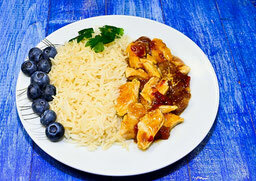 This vinegar may support immune function. The acid in apple cider, known as acetic acid, may increase absorption of minerals from food. A recent Japanese study (3) conducted on 175 overweight individuals concluded that those participants who included apple cider vinegar in their diet loss slightly more weight than those who didn't. A study (1) published in 2006 concluded that: "Scientific investigations do not support the use of vinegar as an anti-infective agent, either topically or orally." TIP: don't drink it straight. It's a strong acid that can strip tooth enamel. Rather, mix 1 tbspn with water or juice. 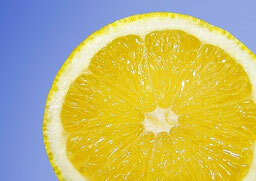 "I take 1-2 tablespoons per day in a glass of water or juice, usually in the mornings. I’ve always been told that apple cider vinegar is a great help in minimising joint pain and inflammation. Do you like this article? Please feel free to share it with your friends and family. You can also reference this article by linking to this page or to www.chiropractordrummoyne.com.au. 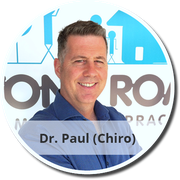 Lyons Road Family Chiro and Dr Paul (Chiro) have been serving the health care needs of Sydney's Inner West and Drummoyne communities for over two decades. Paul is originally from Canada and has obtained high levels of tertiary qualifications from both Canada and Australia. Paul is a wealth of information on all things natural, on fitness, long term health, nutrition and of course, chiropractic. Follow us on Facebook, Youtube, and Google+. Johnston CS, Gaas CA. Vinegar: Medicinal Uses and Antiglycemic Effect. Medscape General Medicine. 2006;8(2):61. Link.